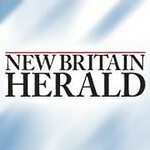 NEW BRITAIN - The rift between City Hall and the Board of Education regarding finances is growing, and according to documents obtained by The Herald from a law firm hired by the school district, litigation regarding the city’s medical insurance fund is a possibility. Earlier this year, for the first time since the city’s 2013-2014 budget, the Common Council and Mayor Erin Stewart approved a budget combining the city and the Board of Education’s medical self-insurance funds into the same ledger. These funds are essentially the money budgeted by the city to pay medical claims for employees throughout the year. As claims get paid, the transactions are recorded and allocated to the city and board on a monthly basis. Since the 2014-2015 budget, these funds have been separated into the BOE Medical Self-Insurance Fund 701 and the City Medical Self-Insurance Fund 702, but in this year’s budget both are combined into the same fund. The Board of Education is alleging the re-merging of funds is unlawful. Kevin Kane, chief financial officer for the school district, gave the board an informational presentation about the fund during Monday’s Board of Education meeting. During his presentation, Kane said it appears the city merged the two funds to eliminate the city’s negative fund balance using the Board of Education’s excess fund balance. Kane said the mayor and Common Council should amend the city’s budget to separate both funds once again. Kane said he was disappointed in the lack of communication during budget season that the funds were being merged. “Out of respect, someone should have said something,” Kane said. Behind the scenes discussion surrounding the city’s Self-Insurance Fund has been ongoing for months, and the Board of Education has involved a law firm in the matter. The Herald filed Freedom of Information Act requests to both to the mayor’s office and the superintendent’s office regarding the fund. On Sept. 13, Joseph McQuade from the law firm Kainen, Escalera and McHale - representing the Board of Education - sent a letter to Mayor Erin Stewart and members of the Common Council regarding the city’s Medical Self-Insurance Fund. The letter alleges that, in combining Fund 701 and Fund 702, the city “converted and retained for its own benefit unexpended contributions of the Board of Education and its employees/retirees to its self-insured medical plan.” McQuade said, in combining the funds, the city was using previously unused money from Fund 701 to offset its own costs. The city’s corporation counsel, Gennaro Bizzarro, responded to McQuade’s letter on Sept. 17. “To be clear, there has been no misappropriation of any funds,” Bizzarro’s response said. Bizzarro’s letter goes on to say that the city has historically had only one medical self-insurance plan. For accounting purposes, the city created two separate ledgers in 2015 – Fund 701 and Fund 702. The change, Bizzarro said, was to better identify and keep track of payments made on behalf of both entities – city employees and school district employees – following underfunded contributions to the fund years prior. In his response, Bizzarro said the city and the board’s joint insurance consultant gives City Hall a claims estimate for the coming year, which is used to budget how much money to set aside for the next fiscal year. Medical claims are subject to fluctuation, so the budgeted amount can be higher or lower than the actual total paid out for medical claims. According to Lori Granato, the city’s finance director, the balance of each entity’s insurance funds ebbs and flows each year - sometimes the city’s paid-out insurance claims exceed the originally budgeted number, sometimes the Board of Education’s paid claims are less than the budgeted number, and vice versa. Right now, the city-side of the Medical Self-Insurance fund has a negative balance of more than $3 million. Despite the fact that paid medical claims for city employees totaled more than $12 million each year for the past three years, the city budgeted $9.25 million this year for its Self-Insurance Fund. Kane and the board allege that the city budgeted less than it usually does because it planned on using the Board of Education’s existing unexpended, excess contributions in its own fund to offset the city’s own negative balance. Granato and Stewart both said that rating agencies and auditors suggested once again combining the funds into the same budget line item because a positive fund balance looks better when issuing bonds and loans. Granato and Stewart said everything is still functioning as it should and all medical claims are being paid as they’re received. According to the mayor’s office, the city has not heard back from the Board of Education’s attorney since Bizzarro’s response. Superintendent Nancy Sarra said she cannot comment on the situation because it is a pending legal matter, though no lawsuit has been filed yet. Rodriguez said she hopes both sides of the table come together to rectify the dispute. Alderman Robert Smedley said members of the council would be willing to sit down and talk if the Board of Education rescinded its letter threatening litigation. Skyler Frazer can be reached at 860-801-5087 or by email at . Posted in New Britain Herald, New Britain on Monday, 15 October 2018 21:19. Updated: Monday, 15 October 2018 21:22.